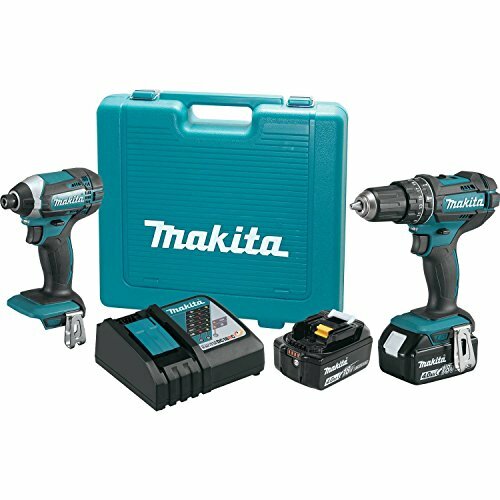 Makita has the world’s largest 18V cordless tool line-up, and the 18V LXT Lithium-Ion Cordless 2-Piece Combo Kit packs two cordless tools for a full range of drilling, driving, and fastening applications. The XT261M includes a versatile ½” hammer driver-drill with all-metal gear construction for applications in wood, metal and masonry. The powerful impact driver weighs only 3.3 lbs., yet delivers a full 1,460 in.lbs. of torque. The 18V LXT 4.0Ah battery has a category-leading charge time of only 40 minutes for less downtime and increased productivity.